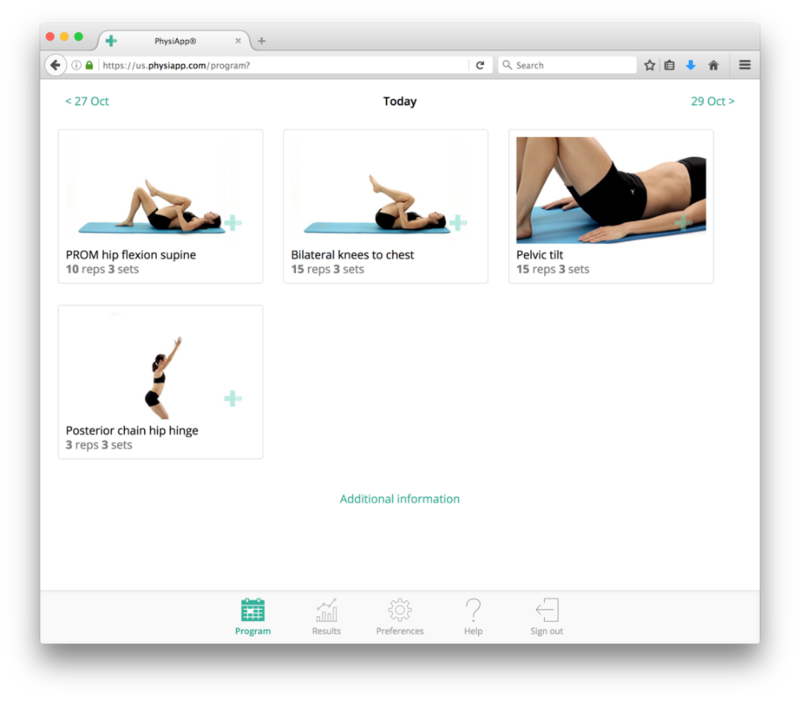 Physitrack lets you print exercise programs and handouts for your patients. 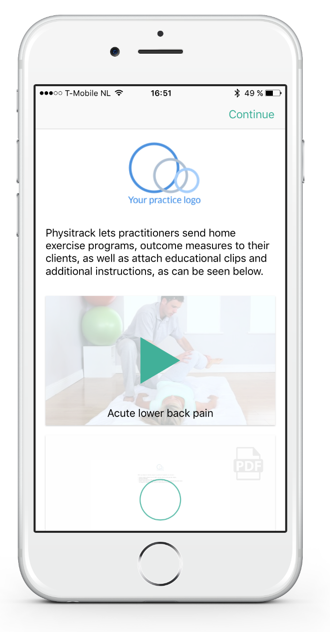 However, where Physitrack really shines is with PhysiApp®, our free app for your clients. This video contains clear instructions for your clients. 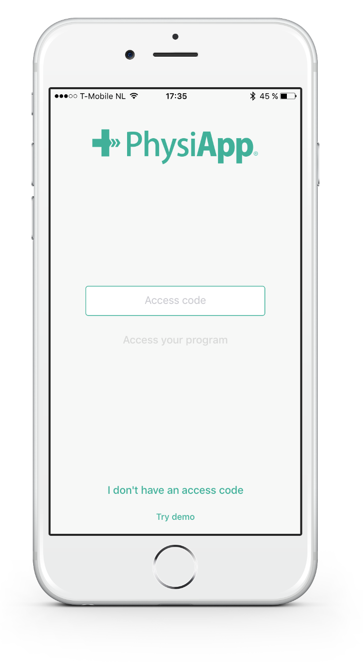 Your client logs in to www.physiapp.com or downloads the iOS or Android version of PhysiApp® and enters their access code. If an exercise program is linked to a client, it has an access code. 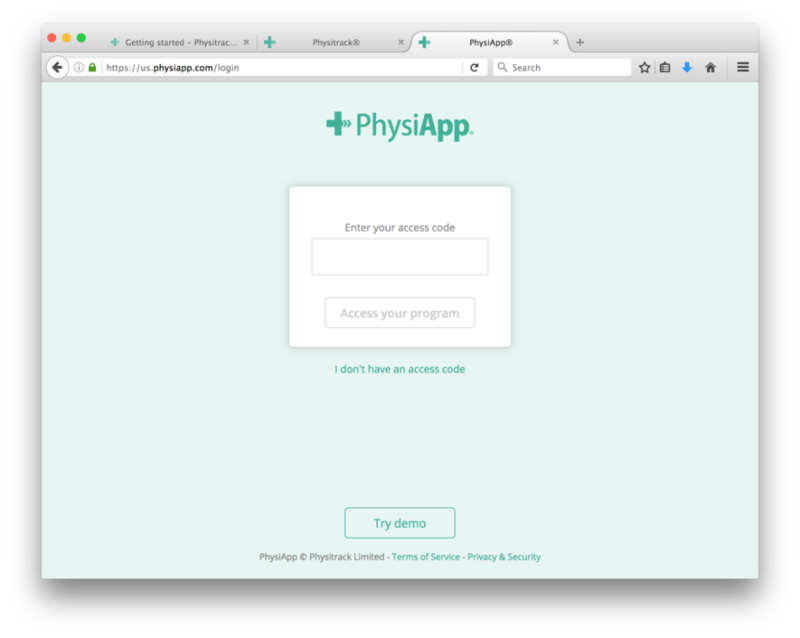 You send the access code to your client through Physitrack via email or text message, or you can give this to them verbally. 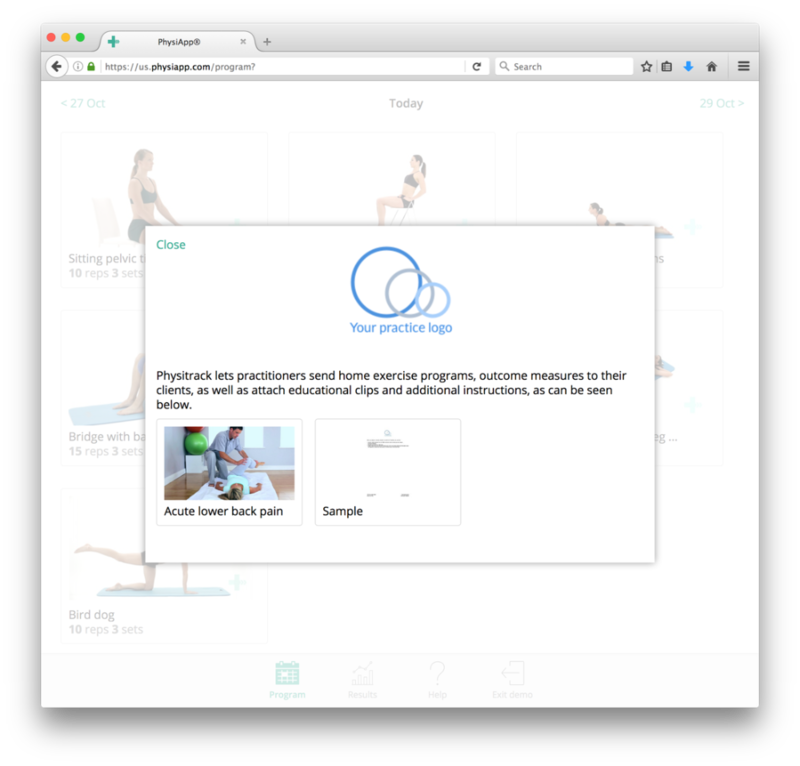 If there is confidential information in the program, such as custom exercises featuring the client, your client will also need to enter their year of birth before gaining access to the program. 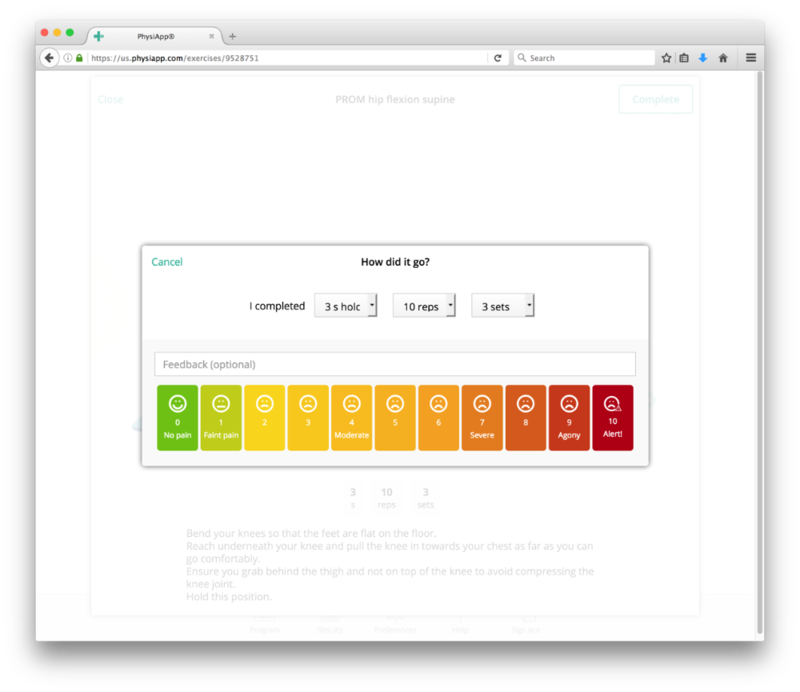 Physitrack lets you choose from many outcome measures, and you can also add your own. If you've added educational content, your client will see this as soon as they accesses their program. 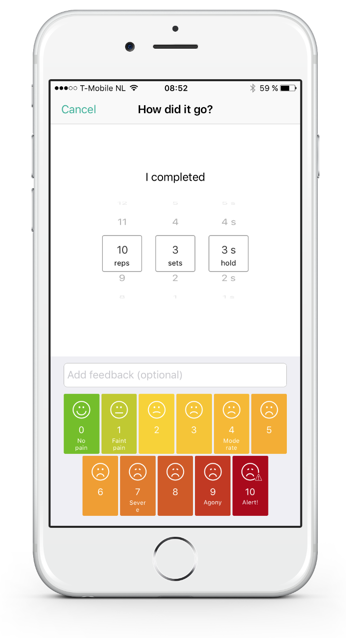 Even though you can design a program to consist of the same exercises that repeat day after day (a so-called daily program), or design a program to consist of different exercises on different days (a so-called weekly program), PhysiApp® only displays the relevant exercises to your client. 6. Your client clicks "Complete"
If you are tracking adherence, your client will be able to report how much they have completed of each assigned parameter (e.g. reps, sets, weight). Your client can also report the pain level that they experienced, and send a message. 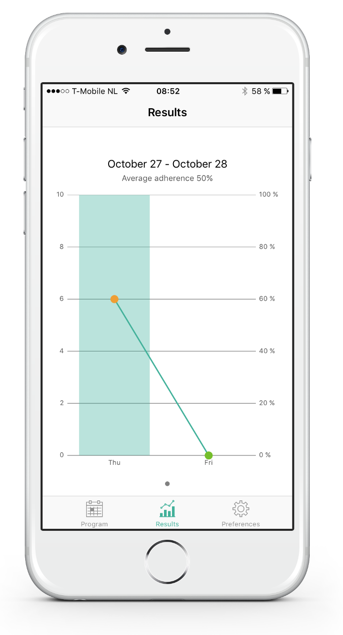 If you are tracking adherence, your client will be able to view their results during the course of their program.